I am always trying to find new ways to use cauliflower. It’s low in calories and very versatile. 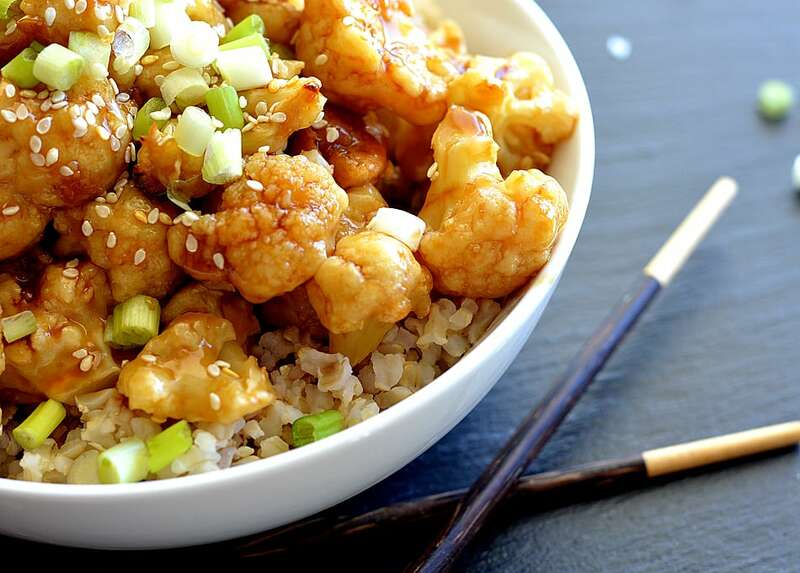 This Baked Sticky Sesame Cauliflower was really delicious! 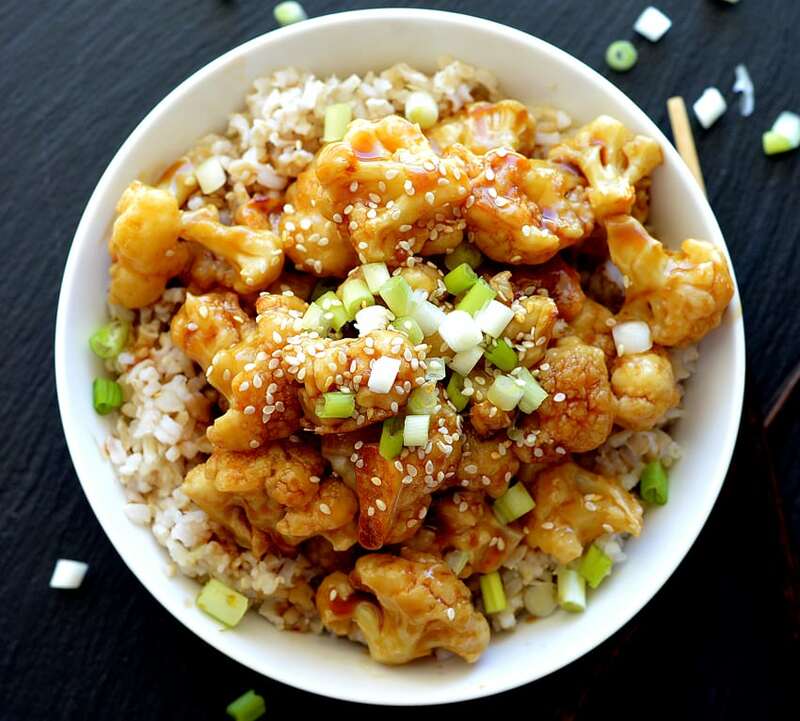 If you’ve followed me for awhile, you’ve likely seen my Sweet and Sour Cauliflower and Orange Cauliflower. When it comes to Asian-inspired foods, I am basically obsessed. I made it again the other day and thought I’d add a few new pics to this post. The cauliflower florets are coated with flour, then a vegan buttermilk mixture which is simply almond milk plus vinegar. These two liquids react and create a bubbly, almost slightly curdled creation that works exactly as traditional buttermilk would. Works like a charm every single time! Try to drain the florets well. Those little puddles will crust up so I like to stir a few minutes in to get it all absorbed. Baked at 450 degrees for 20 minutes or until tender and golden brown, the florets get tossed with our sticky sesame sauce. The sauce is simple. Grated ginger and garlic are warmed over low heat for a few minutes. Meanwhile, in a small bowl combine the remaining ingredients and whisk until the cornstarch dissolves. Pour this mixture into the saucepan, stirring as you pour. It thickens up very quickly. Toss with the baked cauliflower and serve over rice. Top with white or black sesame seeds, green onion and freshly chopped parsley. You can find vegetarian Hoisin here. My favorite vegetable broth is this one, but any will do. Lastly, I like to sweeten with agave which is readily available at most grocery stores, or you can find it here. 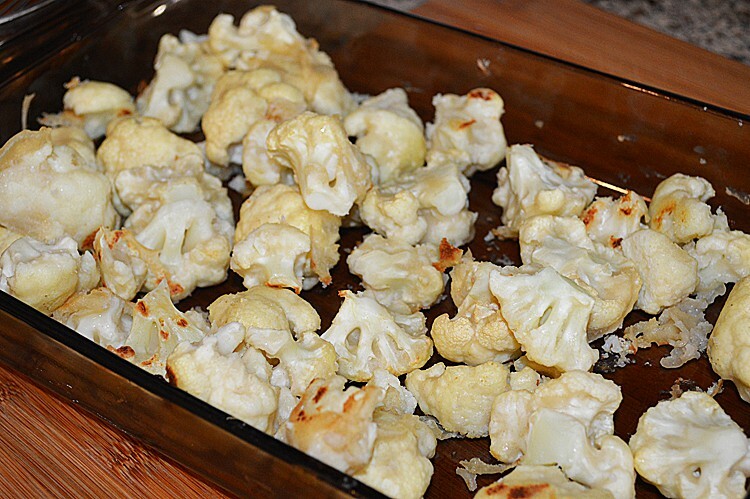 Cut cauliflower into florets and toss with flour/garlic powder mixture. Set aside. Combine 1 C of non-dairy milk with 1 Tbl vinegar. Allow to sit for 5 minutes. This will be our buttermilk mixture. Toss the cauliflower into the flour and then the buttermilk mixture. For a thicker coating, repeat this process if desired. Drain with a slotted spoon and place onto a lined baking sheet (this is recommended for easier clean up - it does tend to stick). Bake for 20 minutes or until tender and golden. While the cauliflower is baking, place a small saucepan over low heat. Add sesame oil, garlic and ginger. Allow to warm for a few minutes. Meanwhile, combine the soy sauce, hoisin, chili sauce, broth, agave and cornstarch, whisking until the cornstarch dissolves. Add to the saucepan whisking to combine. The cornstarch will thicken the sauce quickly. Taste for seasoning and/or sweetness. 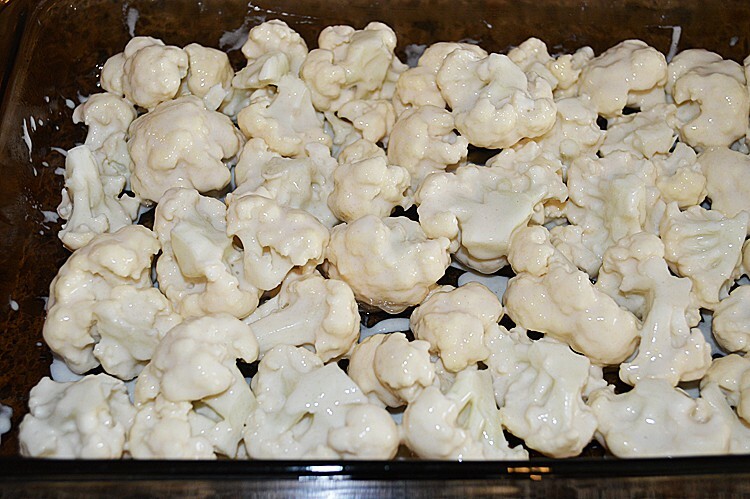 When the cauliflower is ready, remove to a bowl and toss with the warmed and thickened sesame sauce. 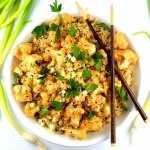 Serve over rice with a garnish of sesame seeds, green onions and fresh parsley. *Some of the resources provided are affiliate links. I can just substitute real milk for non-dairy milk right? If you’re not trying to make the recipe vegan, you can absolutely substitute real milk. Absolutely delicious! Wolfed down instantly by the starving wildebeests that are my family. Thank you for the recipe!